Welcome to Mason’s Brentwood Restaurant . We are located on Ingrave Road within easy walking distance of Brentwood town centre. 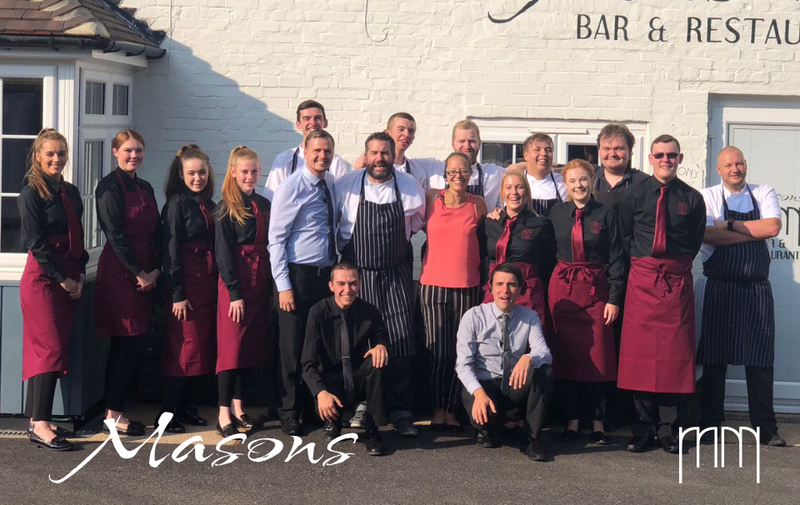 With a long standing reputation for excellent dining, at Mason’s we aim to provide you with something special. Whether you are stopping for an evening meal, lunch or just a quick glass of wine, we wish to give you an experience that you and your guests will remember. Inside, our restaurant has a wonderful blend of warm colours, complimented by soft lighting, that provide a delightful setting for either entertaining clients, or for more intimate dining. We also have ample ‘on-premise’ parking for you and your guests. Holding a Wedding? Let Mason’s help take care of your big day.